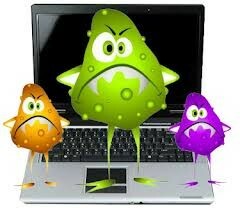 The rise of computer viruses 2015 | Computer Tech Tips For Everyone! Hacking and breaching of computer systems is projected to increase this year alongside malware and virus activity. You, however, ought to stand ready with the perfect defenses for your system. Nevertheless, for you to protect your computer, you must possess sound insight on what virus activity to anticipate as we go through the year. Ever heard of ransomware? Well, this one of the most dangerous ransomware that can quickly find its way into your computer. Once in your system it attaches itself to files and data in your drives and networks thereby encrypting them. This is just the commencement of your woes. After successfully encrypting your data, it then sends you a popup asking you to pay a ransom so that it can give you the encryption key. Things get really heated up since it also has a countdown timer which destroys the encryption key after ninety-six hours if the ransom has not been paid by then. With online shopping taking to the skies of popularity in today’s world, cyber criminals are spending sleepless nights figuring out new ways of attacking the POS terminals used by online merchants to process customer payments. The criminals attack these terminals and steal sensitive financial information including credit card details of customers. Many folks have fallen victim to these attacks that have culminated in massive financial losses. The best way to avoid such attacks is by always being on the lookout for anomalies in your accounts and reporting any suspicious activity immediately. New virus strains are being designed to attack specifically determined targets. The attacks now known as targeted attacks are becoming increasing common and are estimated to rise even higher this year. It is ill-fated that many people do not even know the existence of such attacks and are thus often defenseless against such targeted attacks. Speaking to a computer technician will give you information about how you can detect anomalies and mitigate the damage caused by targeted attacks. The list of malware includes virus, worms, rootkits, Trojans, dialers, malware and spyware among many others. 2015 is projected to see even greater evolution of these malicious programs. There have been reports of highly sophisticated malware that even goes undetected by conventional commercial antivirus programs. A competent computer specialist will, however, provide the perfect shield against malware. Here, think of the USBdriveby, which swiftly and covertly creates a backdoor to override DNS settings on an unlocked computer. This it does by mimicking a mouse or keyboard and will blindly type things, flail the pointer around and even weaponize mouse clicks. It can also go undetected by computer defenses. You should also anticipate more browser attacks by rogue sites, phone scams and webcam spying. All these can be circumvented by consulting a reliable computer specialist.